Just months after being named the Association of Exhibition Organisers’ ‘Trade Show of the Year’, ATEI, ICE and ICEi are in the running to win a second prestigious accolade. 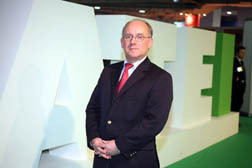 The exhibitions, collectively known as the ‘London Show’, have been named as finalists in the 2007 Event Awards Best Business Exhibition category. The overall winner will be announced at an Awards Ceremony on Friday 14 September at London’s Natural History Museum. Looking ahead to the awards, Karen Cooke, head of exhibitions at show organisers Clarion ATE, commented: “2007 represents the tenth anniversary of the Events Awards, which is the only competition that bridges the worlds of exhibitions and live events.